← Are you a ‘Biker’? First, a hearty congratulations on your Gold Wing GL1800! I wasn’t a Gold Wing virgin before I picked up my long term tester about a year and a half ago, but time spent with the bike gave me a much clearer understanding of why GLs have developed such a zealous following. 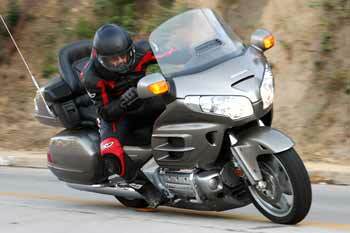 This entry was posted in General Postings and tagged gold wing, goldwing, Long Term Test. Bookmark the permalink.